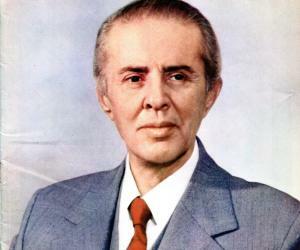 Enver Halil Hoxha was the supreme leader of Albania for close to 41 years. This biography profiles his childhood, life, political career and timeline. Enver Halil Hoxha was the supreme leader of Albania for close to 41 years during which he ruled the country with an iron fist and shaped the future of the country. Enver Hoxha studied in French universities and had a keen interest in communism from his student days. He went to meetings conducted by the French Communist Party and developed his own views on a socialist state when he was barely out of his teens. 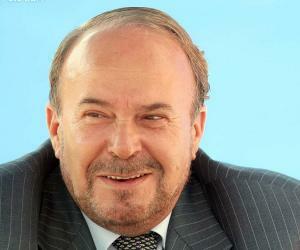 He became one of the founding members of the Communist Part of Albania and became its first secretary. Hoxha remained the first secretary of the party throughout his life and also served the country as the Prime Minister for a decade from 1944. Concurrently he was the commander-in-chief of the armed forces as well. Hoxha was inspired by the leadership style of Joseph Stalin and was known to order the imprisonment or assassination of political opponents. 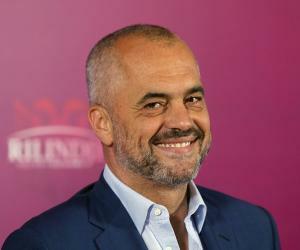 However, on the other hand, he was also responsible for redistribution of agricultural land that boosted production and also made sure that every Albanian had access to electricity. Hoxha is without doubt one of the most influential men in Albania’s history. Enver Halil Hoxha was born on 16 October, 1908 in Gjirokaster, which is located in present day Albania but at the time of his birth it was under the rule of the Ottoman Empire. His father Halil Hoxha was prosperous merchant of clothes and travelled to different parts of the world on business. 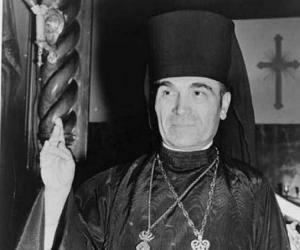 His mother was Gjylihan Hoxha. Enver Hoxha initially attended a French Secondary School located in the city of Korce and later on at the American Technical School at Tirana. Hoxha studied French history and philosophy at the school. It was here that he first got to read the ‘Communist Manifesto’. Enver Hoxha enrolled at the University of Montpellier in 1930 on a scholarship to study the natural sciences however he discontinued the course in order to study philosophy. He attended the classes at the prestigious Sorbonne in Paris but did not get a degree. It was around this time that he started attending the meetings of the French Communist Party. In 1934, Enver Hoxha started working as a secretary at the Albanian consulate located in Brussels, Belgium and continued to work there for two years before his employment was brought to a halt after communist literature was found in his possession. He returned to Albania and started teaching in his old school in Korce. The Italians invaded Albania in 1939 and a Fascist government was put in place in the country. Enver Hoxha refused to be a part of the Albanian Fascist Party and he lost his teaching job at the school. 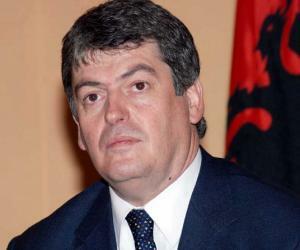 Two years later, he became one of the founding members of the Albanian Communist Party and was the first secretary of the party, a position he held on to for close to 44 years. In 1944, Albania was liberated and in the same year Enver Hoxha became the Prime Minister of the country and its all powerful head of state. During his time as Prime Minister, he ruled the country in much the same way as his idol Joseph Stalin and redistributed land by confiscating land from the large landholders, improved health care and also improved the literacy rates in the country. He remained the Prime Minister for a decade and strengthened relations with the Soviet Union. Enver Hoxha called a meeting of all the party members in 1956 with the intention of cementing his place as the supreme leader of the party and after the resolution was passed successfully, all those who had opposed the resolution, were sent to jail. Hoxha went on a visit to China the same year and had a meeting with Mao Zedong. Chinese aid to Albania increased around the same time and a few years later, Albania’s relation with the Soviets soured. Enver Hoxha also championed women’s rights and turned the patriarchal society in Albania into an equal opportunity society. In 1960, the party announced a campaign to provide electricity to each and every Albanian and within a decade the goal was achieved. Hoxha had also ordered the building of one man bunkers in order to ensure that a large part of the population could be safe if the country was ever attacked. In 1976, a new constitution was established at the Seventh Congress of the Albanian Party of Labour and Enver Hoxha led the charge for the new constitution, as he wanted to build the ideal socialist state. Around this time, Hoxha was also instrumental in ushering in an era of self sufficiency for Albania by borrowing as little as possible but the living standards of the people were low. Throughout his years as the leader, Hoxha had become a larger than life personality in Albania and his way of operating was quite similar to Stalin as he killed or imprisoned anyone who opposed him. Clerics across religions were imprisoned. In order to make sure that his successors shared the same philosophy as his, Hoxha ordered the assassinations of a number of party members who he thought did not share his philosophy. He chose Ramiz Alia as his successor. Enver Hoxha ruled Albania with an iron fist for close to 41 years and transformed the country in more ways than one, however his most important contribution was the way in which he redistributed the land confiscated from the rich landholders and gave it to farmers. The measure also helped in boosting agricultural production and made Albania a self sufficient country. Enver Hoxha married fellow member of the communist party Nexhmije Xhuglini shortly after the end of the Second World War but the exact date of their marriage is unknown. They had two sons named Ilir and Sokol and a daughter named Pranvera. 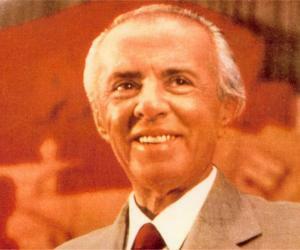 Enver Hoxha died, after suffering an attack of ventricular fibrillation, on 11 April, 1985 in Tirana.